(Photo by Brendon Miller) The excitement of NASCAR returns to the Bluegrass State with two premiere races at the Kentucky Speedway in Sparta, Kentucky. The smell of burnt tires, racing fuel and engines tuned to the max while blazing through the one and a half mile track creates a great weekend that is attended annually by thousands of spectators from across the country. Kyle Busch the 2015 NASCAR Sprint Cup Champion was the pole winner of the Alsco 300 with a top speed of 181.94 MPH and a lap time of 29.68 seconds. Busch was driving the #18 car A NOS Energy Drink Rowdy Toyota Camry. Busch was followed by Eric Jones who had a 181.64 MPH speed and a lap time of 29.730 seconds. Jones drove the #20 Reser’s American Classic Toyota. Ryan Blaney Qualified in third place with a 181.35 MPH speed, and track time of 29.77 seconds. Blaney drove the #12 car Snap ON Ford Fusion. Joey Lagono qualified in in fourth place with a speed of 180.52 MPH, and 29.913 lap time. Lagono drove the #22 car a Discount Tire Ford Fusion. William Byron qualified in fifth place Mansea Metal Chevrolet. Tyler Reddick driving the #42 car sponsored by BBR and Jason Aldean Chevrolet Impala qualified in sixth place with a lap time of 179.76 MPH and a lap time of 30.03 seconds. The top ten is rounded out with #48 Breenan Poole polling in seventh place, #00 Cole Cluster in eighth place, #2 Paul Menardi ninth place, and #21 Daniel Hemric tenth place. Chevrolet had the most cars in the starting lineup with 26 cars and three that did not qualify to race. Toyota was next with seven cars in the starting lineup with all cars qualifying to race. Ford followed closely with six cars making the starting lineup and all cars qualifying to race. Dodge had one car in the starting lineup and their car did qualify to race. The race was scheduled to start on Friday @ 7:30 pm, but was delayed until Saturday July, eighth @ noon. Eric Jones and the #20 Reser’s American Toyota was the winner of stage 1 racing. Jones led 40 of the 45 laps in stage 1. 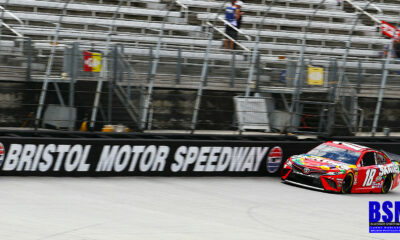 Pole setter Kyle Busch and the #18 Nos Energy Drink Toyota finished in second in stage 1 racing. Busch Led the first 5 laps of 45 in stage 1 racing. Joey Lagono finished third in stage 1 racing, while driving the #22 Discount Tire Ford. The rest of the top 10 was finished out by #2 Paul Menardi, #42 Tyler Redick, # 00 Cole Custer, #9 William Byron, #7 Justin Allgaier, #12 Ryan Blaney and #41 Daniel Hemric. Stage 1 racing featured 3 cautions lasting a total of 13 laps. The biggest caution of stage 1 racing happened during the opening lap as 4 cars lost control in the front stretch during the green flag, before drivers could even make their first lap. Blake Koch #11, Ryan Reed#16, Brendon Gaughn # 62, and Brandon Jones #33 were the drivers involved in the caution. The second caution happened on turn #2 as Brendon Gaughn was involved in a second incident. The final caution of stage 1, no cars were involved in any incidents but were held under caution allowing several drivers to pit for the first time. Ryan Blaney and the #12 Snap on Ford Fusion was the leader after stage 2 racing. Eric Jones who won the stage 1 racing slipped to second place. Kyle Busch also fell one spot to # 3 at the end of stage 2 racing. Tyler Reddick driving the #41 BBR/ Jason Aldean Chevrolet finished in fourth place. The top ten is rounded out with #2 Paul Menardi, #9 William Byron, # 7 Justin Allgaier, #12 Ryan Blaney and #41 Daniel Hemric. Stage 2 featured 4 lead drivers. Ryan Blaney led 42 laps, Eric Jones also led 42 laps. Kyle Busch led 5 laps and Joey Logano led 1 lap. Stage 2 featured cautions that totaled 18 laps. Kyle Busch was a dominant driver from the opening lap. 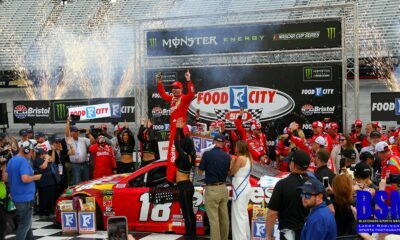 Busch who will also compete in the Quaker State 400 on Saturday, was the winner of the Alsco 300. Busch driving the #18 Nos Energy Toyota led the race at 3 different times for a total of 70 laps. 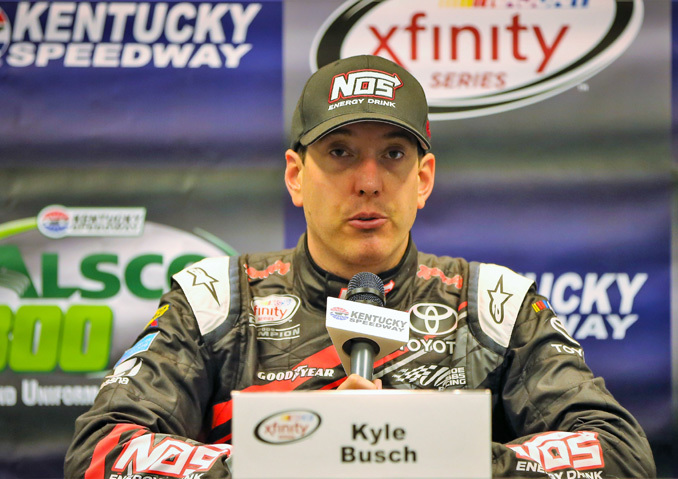 Busch has accomplished a perfect trifecta at Kentucky Speedway by winning both poles and winning the Alsco 300. At the time of this article the Quaker State 400 has yet to be started. 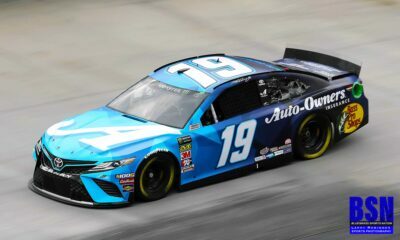 The way Busch has dominated the weekend, I wouldn’t be surprised if he doesn’t win the Monster Energy Quaker State 400. 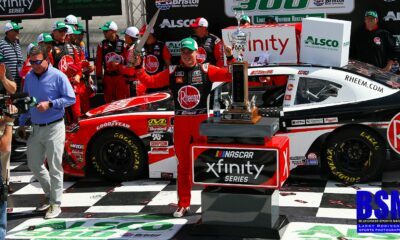 Although Busch was dominant in the Xfinity race he trailed Eric Jones who led the most laps of the race. Eric Jones driving the #20 Reser’s American Classic Toyota led the most with 77 laps. Ryan Blaney led 52 laps and Joey Logano led with 1 lap. The race featured 8 cautions for a total of 44 laps. Following Busch to the finish line was several drivers that will compete in the feature race, the Quaker State 400. Ryan Blaney finished in second place. Eric Jones finished in third place. Kevin Harvick finished just out of the pole in fourth place. The top ten is finished by # 3 Ty Dillion, #22 Joey Lagono, #9 William Byron, #7 Justin Allgaier, #21 Daniel Hemric, and #42 Tyler Reddick. Chevrolet had 5 cars finish in the top ten, Ford had 3 cars and Toyota had 2 cars finish in the top ten of the race. Today’s Race marks Kyle Busch 88th Career victory in the Xfinity series.